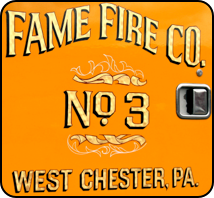 Serving as one of three volunteer companies of the West Chester Fire Department, Fame provides Fire & Rescue services to the Borough of West Chester and several other townships including Birmingham, East Bradford, Thornbury, West Goshen, and Westtown. Established in 1838, Fame has preserved much of their 175 year history including an 1884 Silsby hand drawn hose reel which is proudly displayed in the “Hall of Flame” Museum located in the rear of their firehouse. a high-rise pack, PPV fans, saws and gas/CO detectors. Responding second due for all structure fires outside the Borough of West Chester, Tanker 53 is also assigned to all Hazmat incidents involving structures or automobile accidents within the West Chester Fire Department response territory due to its’ unique foam capabilities. 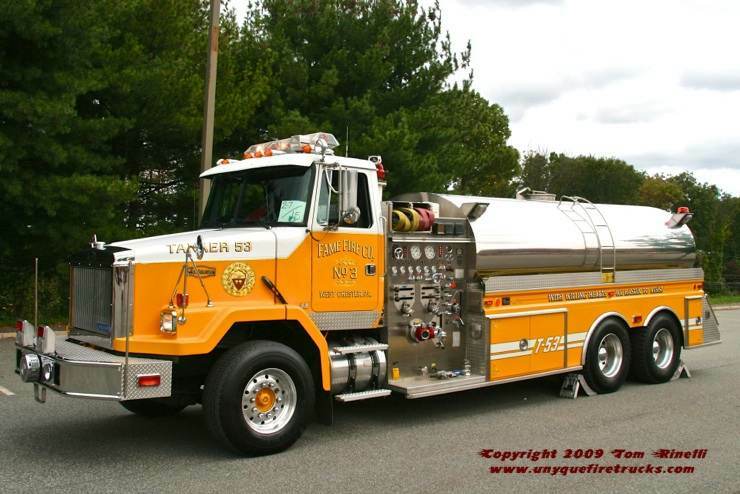 It is equipped with a Feecon around the pump foam system, a 10” Newton electric dump valve (90 second water off load), 1,000 GPM deck gun, a 3,500 gallon folding tank, assorted foam adapters & appliances, two 200’ 1-3/4” attack lines, one 200’ 2-1/2” “blitz” line and 300’ of 3” supply line. In March 2010, this rig was transferred to the Good Will Fire Co., Station 52 where it now runs 2nd due in Thornbury Township as Tanker 52. 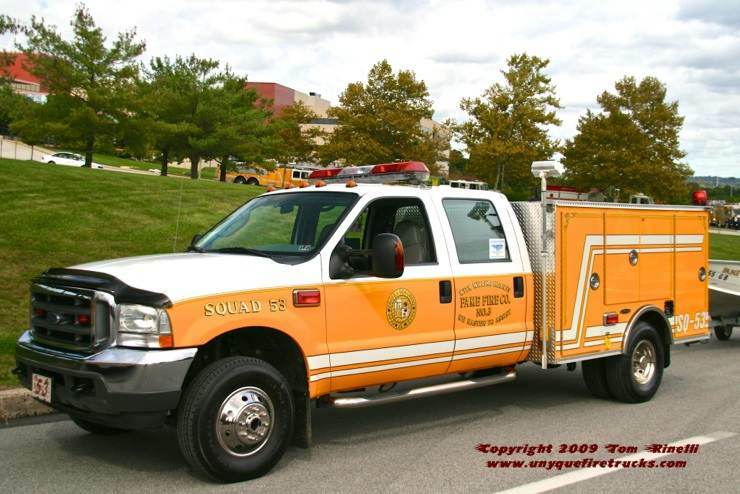 Assigned first due for all water rescues within the West Chester Fire Department response territory, it also responds to all structure fires & auto accidents as a personnel transport and support piece. Equipped with seating for five firefighters, it features a 10 KW gas generator, Hurst electric power unit and hose reel, two SCBA, forcible entry tools and a full complement of water rescue equipment including two cold water suits, two dry suits and six sets of personal water rescue equipment. Squad 53 responds with Boat 53, a 14’ 2003 Starcraft with a 25 HP Yamaha motor. 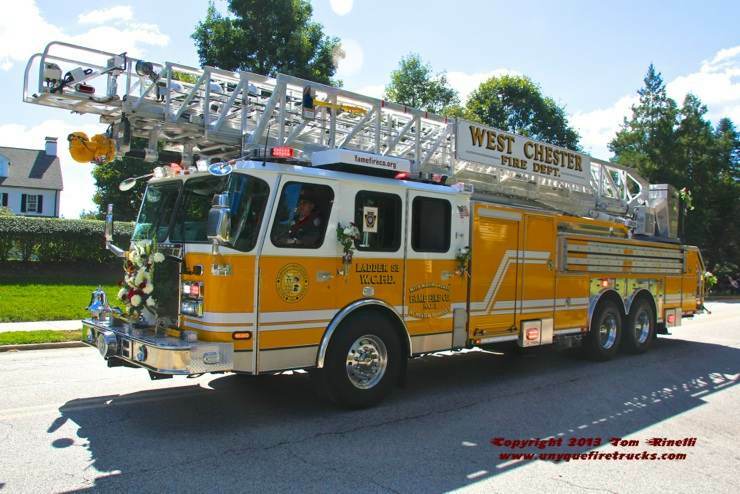 Ladder 53 operates as the first out apparatus for all structure fires and technical rescues within the West Chester Fire Department response territory. Equipped with seating for six firefighters (5 SCBA), pre-assigned riding positions are utilized for rapid deployment of the famed “Ladder Split” team approach used the by Fame Fire Co. The rig is outfitted with a 1,000 GPM waterway, 10 KW diesel generator, 242’ of ground ladders, forcible entry tools, a high-rise hose pack, saws, PPV fans, salvage and overhaul equipment, large amounts of rope and rigging equipment, gas/carbon monoxide detectors and a thermal imaging camera. This rig replaced a 1992 Emergency One 110’ rear mount aerial. 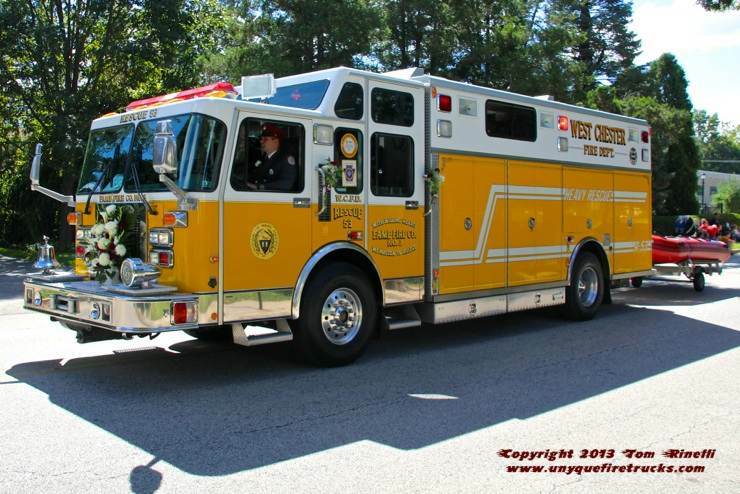 Rescue 53 responds as the first due apparatus for auto accidents and along with Ladder 53 for any technical rescues within the West Chester Fire Department response territory. 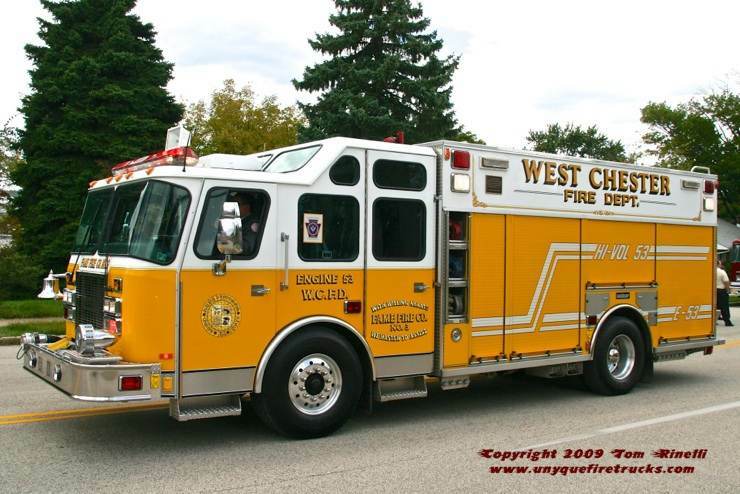 It also responds to all water rescues supporting Squad 53 & Boat 53 within the West Chester Fire Department response territory as well as mutual aid responses. Seating twelve (9 with SCBA), it features a 35kw PTO generator, PTO air compressor, two Hurst Simo pumps and a command center. It’s equipment complement includes Hurst extrication tools, Paratech rescue struts, high and low pressure airbags, large amounts of rescue rope & rigging gear, PPV, forcible entry tools and gas/CO meters.